This is Martin Bonner – Screenkicker! I’ve seen all the big superhero movies of the last couple of years. Man of Steel, The Dark Knight Rises, The Avengers. But today I discovered a different kind of superhero and possibly my favourite. His name is Martin Bonner and he is a kind, modest, unassuming Aussie. This is a review of his film. 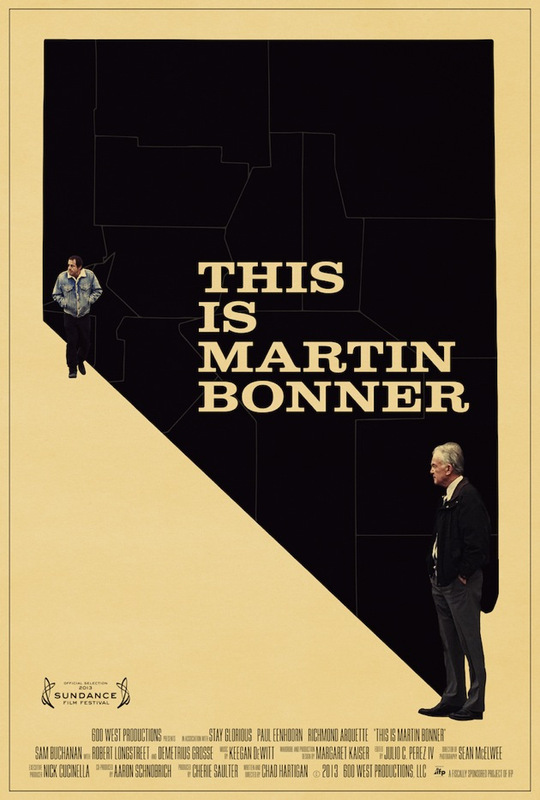 Nothing much happens in This is Martin Bonner. There are no huge revelations, no fights, no shouting or crying. It’s just a lovely little tale about two men trying to find their way in a place that’s alien to them. Martin Bonner is a Christian man who works for a church charity that helps recently released convicts adjust and get a headstart in the outside world. This is how Martin meets Travis Holloway, a man released after serving twelve years in prison. Martin helps Travis to re-enter society. And that’s pretty much the whole story of the film. Which is also the great thing about it. We’re used to massive life or death situations in movies with huge consequences for the world. We forget about individuals who need someone’s help just as much as thousands in the likes of The Avengers. 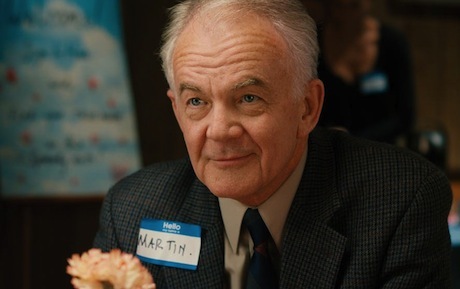 That’s why it’s a pleasure to be in the company of a man like Martin who is tiny in the grand scheme of things but at the same time as important as any superhero. Paul Eenhoorn plays Martin and Richmond Arquette plays Travis with both performances being fantastic. There is a warmth and realism in the way they speak to those around them and the sense that they’re both struggling to fit in in different ways. Martin is an Australian who has moved to Reno and has had to leave his grown up kids in Maryland while Travis is a man who has just left prison and meets a place he doesn’t know and memories of a daughter he hasn’t seen for years. It’s how these two very different people help each other that forms the basis of the movie. Chad Hartigan shoots Reno like it’s another planet with it’s strange Martian landscape and it’s here that the two men are trying to make a life. This is Martin Bonner is the polar opposite of The Bling Ring. It’s a film about a good man doing good things and this makes it refreshing. It’s also nice to see a religious man portrayed as something other than a bible-thumping nutter but as a normal man who’s faith is displayed in a positive way. OK, it might be slow at times and the story might seem slight but when you get into it the story becomes as important as any alien invasion or zombie apocalypse. This is Martin Bonner is just like the man himself – modest, warm, and stands out through it’s positive outlook of the world. A lovely gem of a movie, and a new hero to add to the pantheon. Look out for Martin Bonner 2: Martin vs Aliens. Again, quite interesting post. Keep them coming! What a hero, for sure!